The gripping production fused loud rock, electronic and hip-hop music with circus, cabaret and modern dance elements and Thom Browne-designed costumes. 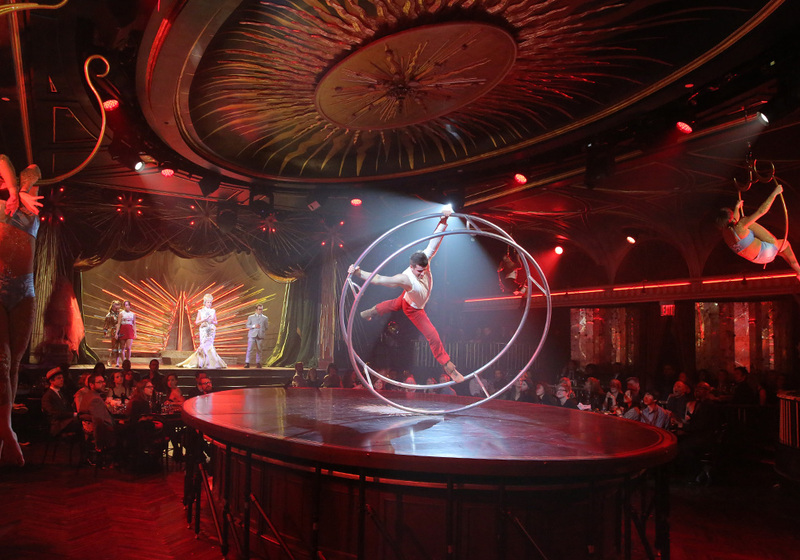 The immersive, wild “Queen” show included a writhing naked woman, eyedroppers of olive juice squirted into guests’ mouths, an arty torture chamber, acrobats hanging from the ceiling, and a menu including whole pigs and lobsters served in bird cages. A Memorable and Singular Good Time. ​New Yorks Hottest Nightlife Event. Expérience immersive inédite et incontournable à New York, le spectacle accueille un public adulte pour un souper-spectacle fusionnant théâtre, musique, cirque et design.